Your plumbing fixtures are the part of your plumbing system that you use every day, and every other part of the system exists to make sure that these can function well. These fixtures are what make your home the comfortable and convenient place that it is, so it's important that they're always totally functional and efficient. You rely on your plumbing fixtures every day to provide modern conveniences and necessities. Whether you're having plumbing fixtures installed, repaired, or replaced, you can rely on our plumbers you can always rely on our plumbers for high quality workmanship. We'll do whatever it takes to make sure that your plumbing fixtures are in excellent condition. Call us today to schedule your appointment for plumbing fixture repairs, replacement or installation, and we'll be looking forward to assisting you. When your plumbing fixtures are damaged or malfunctioning, it can be very frustrating. When any of your fixtures develop problems, you can depend on our professional plumbers to tackle the job. Our experts will be able to ensure that your plumbing fixtures are kept in excellent condition. We'll be able to provide you with prompt, professional repairs so that your plumbing fixtures will provide you all of the comfort you depend on. If your home's plumbing fixtures are old, damaged, or worn out, they may stop working properly or stop working altogether. When your faucets, toilets, tubs, or other fixtures need to replaced, we'll be able to provide you with a high quality replacement. We'll work with you directly to choose the perfect new fixtures for your home, remove the old fixtures, and provide you with an excellent installation and any related plumbing services needed to guarantee that your fixtures are totally functional. We know how important your plumbing fixtures are to you and your family's daily lives, so we'll do whatever it takes to make sure that your fixtures are in great shape. 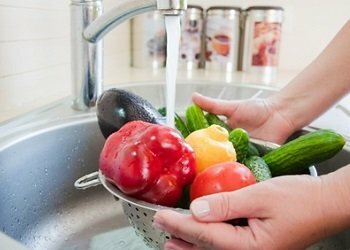 For installation of kitchen and bathroom plumbing fixtures in Columbia, SC and the surrounding areas, please call Franklin Plumbing & Drain Cleaning at 803-799-2222 or complete our online request form.